“We can’t believe it’s been 10 years already, but we love doing this show,” Byrne said. “After the Dawn Service and the Anzac Day March it’s a chance for people to come and spend an afternoon with us, to celebrate the freedom so many fought for. “We have a great young tenor called Jared Frost who will sing Bring Him Home and The Prayer,” he said. “And we will have the Ode of Remembrance to remind us of the significance of Anzac Day. “Adelaide’s favourite piano lady Sandi McMenamin will be back and a couple of other great Adelaide singers in Rick Williams and Charissa McCluskey-Garcia will join her. 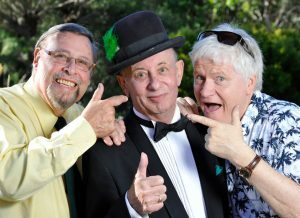 “Irish Albert, John and I will keep the comedy coming with cameos from Mrs. Brown, Benny Hill, the Two Ronnies and a scratch match with the Aussie cricketers. 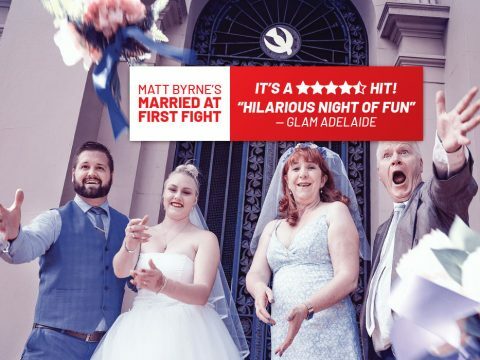 Byrne said a bonus for the audience would be a “sneak peek at MBM’s July SA Stage Premiere of the fantastic Queen/Ben Elton musical We Will Rock You. “You’ll see a duet from Iman Saleh and Danielle Greaves who are playing Galileo and Scaramouche, plus a big production number from the whole cast,” he says. 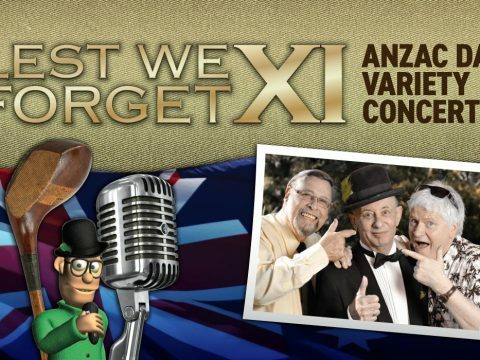 Irish Albert said he always looked forward to the Lest We Forget Anzac Day concert. “And after fighting my own battle with cancer two years ago, this 10th Lest We Forget will be a wee bit more special,” he said. 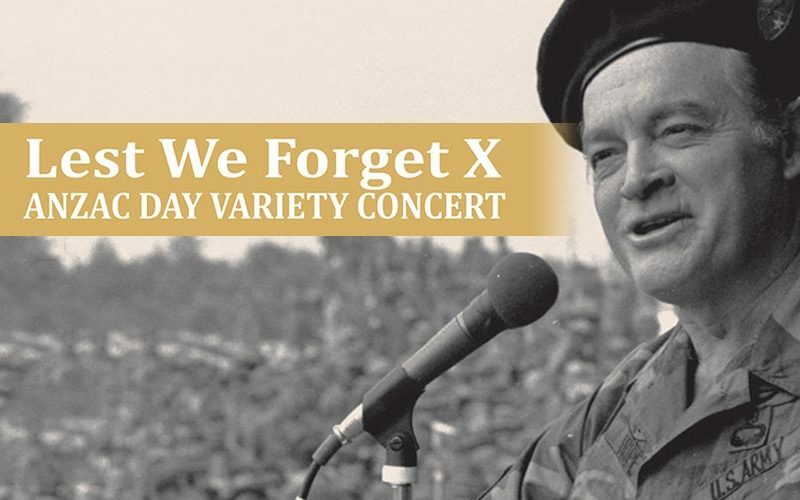 Lest We Forget X will play the City of Playford’s Shedley Theatre, on Wednesday April 25 at 2 p.m. Admission is $20. Book on 8262 4906, by clicking here or just get your tickets at the door. 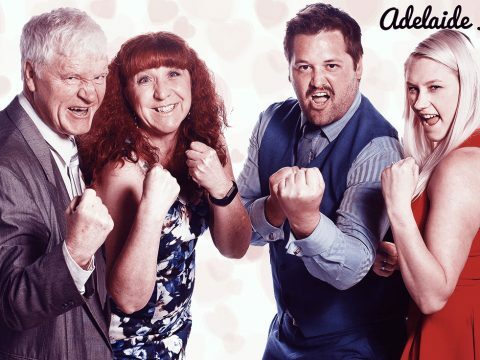 Previous PostWe Will Rock Adelaide in July 2018 Next Post Fringe hit Hott Property returns!